Get cheap online deals on fitness items only here. Whether you are looking for fitness trackers, workout apparels, gym passes or fitness equipment, our incredible team of bargain hunters have compiled the best and most affordable deals you can ever find so you can work your way to fitness without sacrificing your savings. Check excellent deals and voucher codes on gym passes from Start Fitness and Groupon, trainers and apparels from ebay, trackers from Amazon, treadmills from Argos, and so much more. These deals and offers are tested for you so you can get more by spending less. 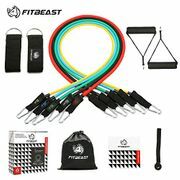 Where Can I Get Cheap Fitness Deals in the UK? Here at Latest Deals we have a community of bargain hunters who are verifying and posting special offers, discount codes and voucher codes regularly for your fitness needs, from items such as fitness trackers and fitness equipment, clothing and accessories. Discover big discounts and savings from popular online retailers like Amazon, Ebay, Argos, Tesco, Wordery and Start Fitness. Rest assured that your fitness budget is well taken care of here at Latest Deals. Health & Fitness Books. Wordery offers some of the very best fitness books to help you stay in shape with savings of up to 30%. From dieting to proper exercise, you will surely achieve your body goals in no time while staying fit and healthy. Fitness Trackers. 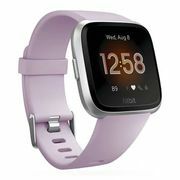 You can find all the latest models and great deals on fitness trackers on Currys. Get fantastic savings on their Mega Deal and free delivery on brands like FitBit and Garmin. Fitness Passes. You can as much as 70% off on select fitness offers and deals in Groupon and Wowcher including gym passes and yoga passes. Amazon UK. 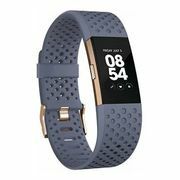 You can find variety of fitness watches or fitness wristbands brands that come from wide ranges of discounts only from Amazon. They also have selections of treadmills, microfibre towel and many more fitness equipments. Visit their website for more list of items and enjoy the ones in a lifetime discounts they offer. Ebay UK. Have fun burning calories with your special someone with a Maxi Climber. Visit the website of Ebay UK now to see their brand options and discover their biggest discount offers. They also have discounted fitness clothing such as sports bra and socks as well as Nike and Adidas running and crossfit shoes. Argos. Argos offers small items to big items such as fitness smartwatch or wristbands to fitness kettlebell or fitness cast dumbbell. Take advantage to their biggest discounts for treadmills and many more. 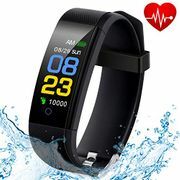 How to Verify True Fitness Items and Equipments Retailers? It is true that scamming online is very rampant. Sometimes we are confused with which of the resellers are true. This is why our team it very motivated to legit-check each posting our site receives. Be that as it may that you still in questions or possibly regardless you have inquiries, it is a smart thought to contact or get hold of the seller itself. Get in touch with them by and by. Converse with them, ask them the points of interest or informations which you need to know. 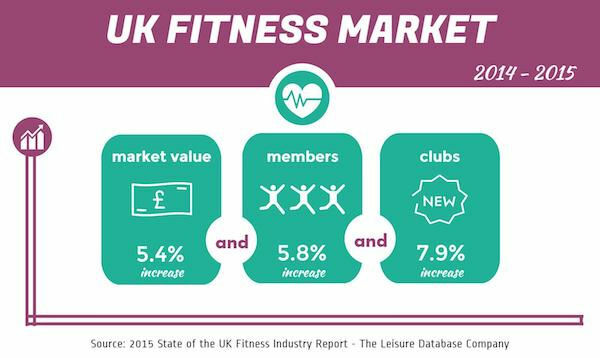 Find out about the proposed fitness deals or discounts and or their voucher offers. Keep in mind that a dependable marketer gives his or her full contact points and will give all the important informations his or her clients or customers need to know. How to know if the Deals or Discounts being given away are Accurate? It is very important to have knowledge to every fitness items we buy online. Researching online or inquiring to popular fitness stores about how much is an authentic item. This is to compare it with the deals that being offered online by online marketers. We must also not disregard the status of each items. Did you know that running burns calories? Running for a ten minute per mile pace you can actually burn 104.3 calories per mile. Are you aware that when you exercise you slows than aging? Exercising for three times a week for up to fifty minutes helps prevent signs of aging. Studies say workouts can enhance the tone of your skin. When you Sweat releases you also liberate dirts through your pores which reduces blackheads, acne and breakouts. Working out sharpens your memory as per researchers. Exercising elevates the production of cells that are responsible for learning. Thus, improving your memory. Music boosts workout execution. Music actually helps you improve your exercise performance by fifteen percent to twenty percent.